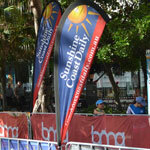 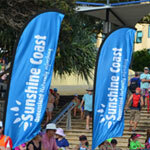 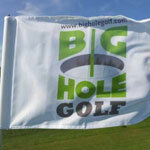 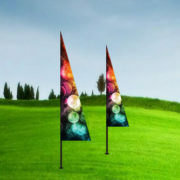 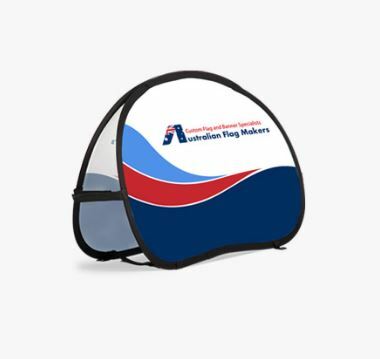 The best way to ensure people remember your brand is to expose them to your logo over and over again. 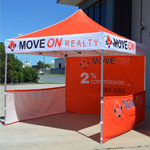 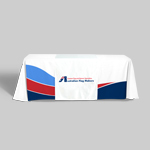 Choosing a table cover is a good start, but many table covers only provide you with one opportunity to display your logo. 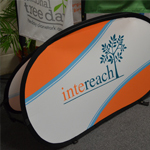 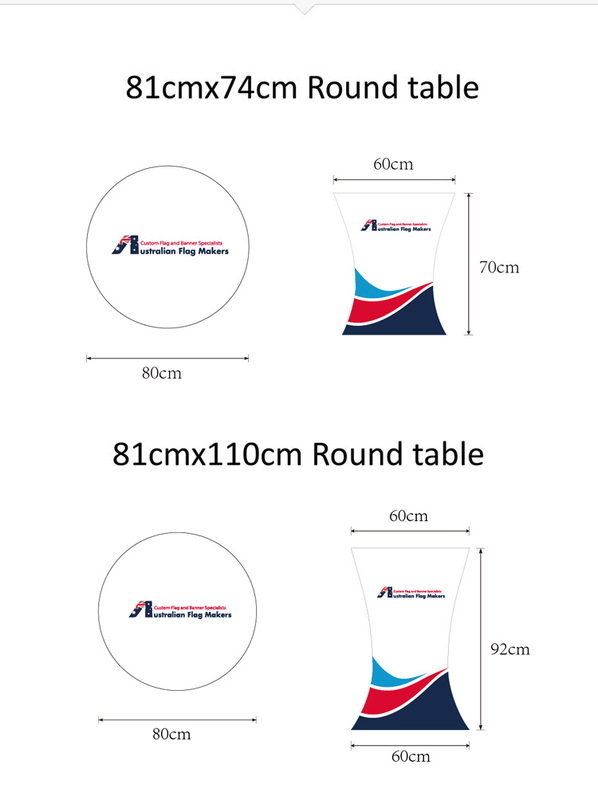 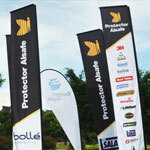 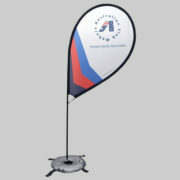 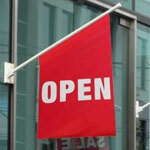 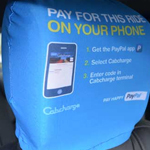 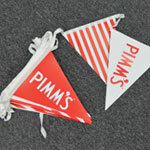 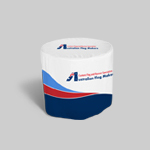 If you’re really looking for some marketing power, choose a round elastic table cover instead. 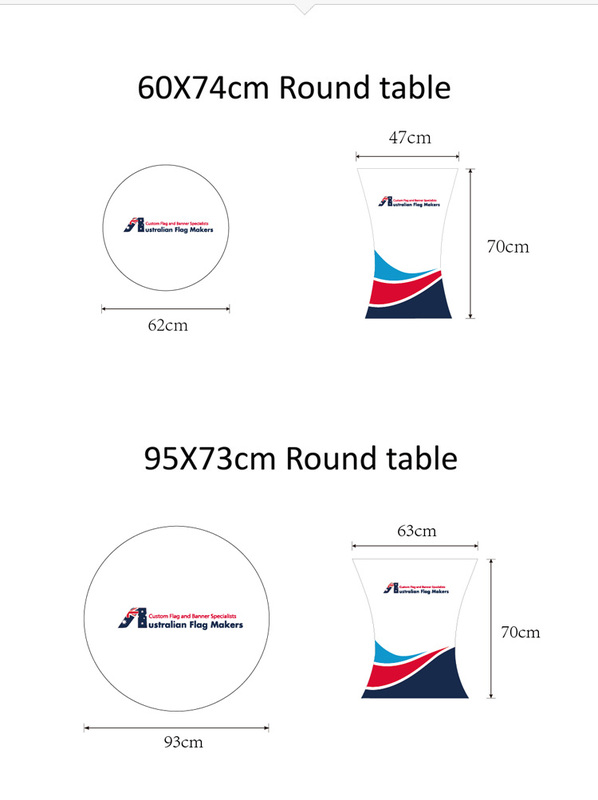 Not only do our round elastic table covers prominently display your company logo on the top of the table, they also display your logo around the edge of the table as well. 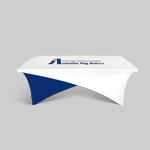 And because the cloth conforms to the sides of the table, you don’t have to worry about it getting in the way. 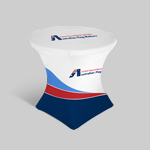 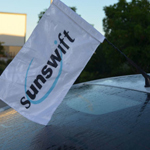 There’s no need to wrestle with an unruly tablecloth to ensure that your logo is displayed just right when you choose a round elastic table cover. 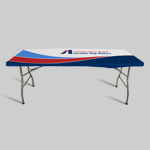 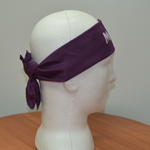 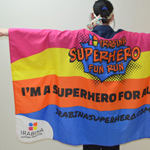 Because it is made out of high-quality stretchy spandex material, it can easily be stretched over your table in less than a minute. 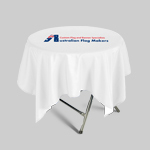 You never have to worry about ironing our tablecloths either because they are wrinkle resistant, which will really save you time. 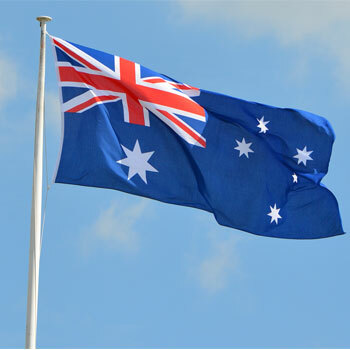 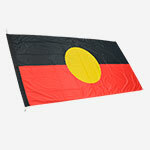 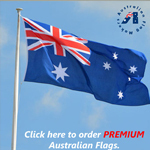 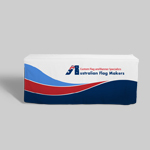 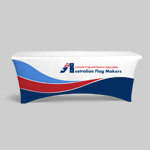 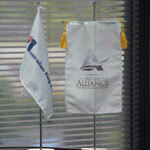 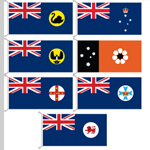 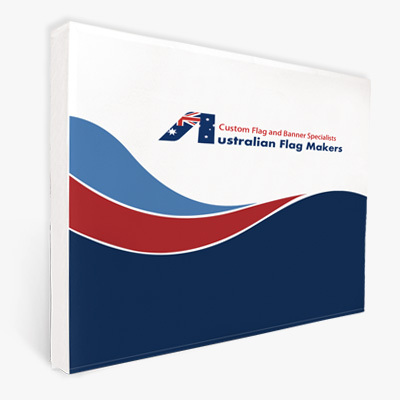 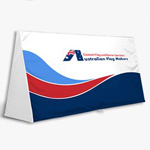 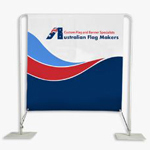 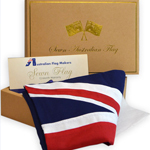 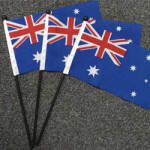 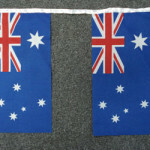 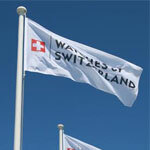 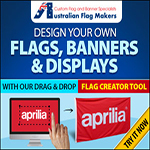 No two tablecloths are created exactly alike at Australian Flag Makers. 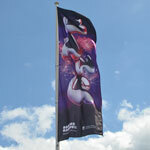 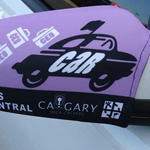 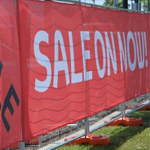 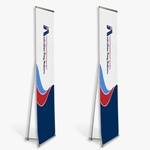 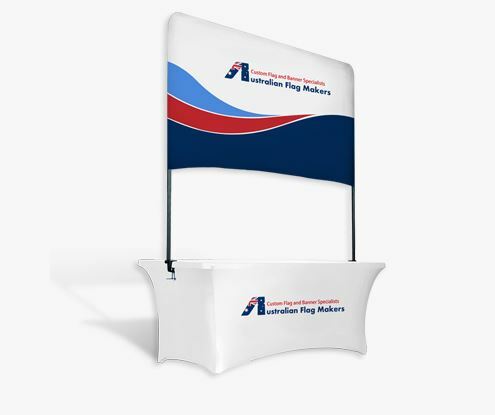 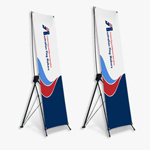 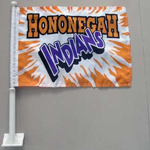 That’s because we work with our customers to create one-of-a-kind covers that will get noticed at trade shows, outdoor sporting events, community gatherings, and more. 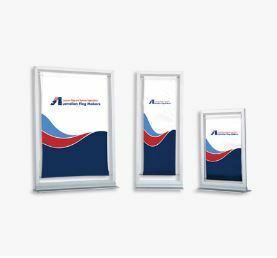 It starts with choosing the right size for you. 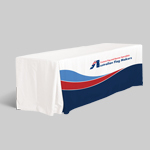 If you can’t find what you’re looking for, we can customize a cover based on your exact measurements. 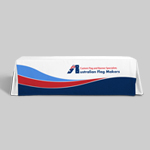 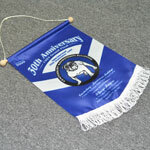 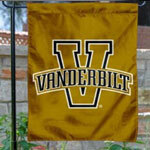 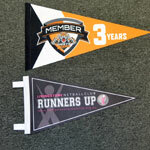 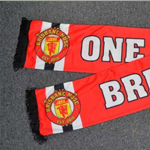 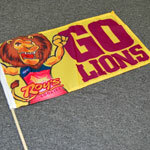 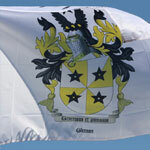 Then, we can recreate your existing logo or design a new logo that will be custom-printed on your unique table cover. 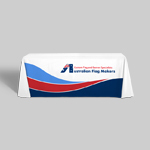 Enhance the tables at your next event by filling out our custom form today!